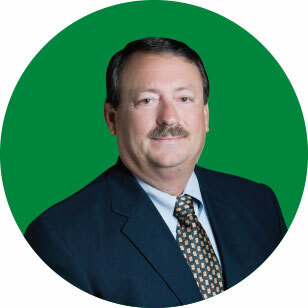 Clarence "Bimbo" Brock was elected to the DEMCO Board of Directors May 10, 2003, representing District 1 which includes all consumer-members in Ascension Parish. He serves as a member of the Finance Committee, as well as the Chairperson of the Manager's Evaluation Committee. Brock retired as Assistant Police Chief from the Gonzales Police Department after serving 33 years with the organization. He is currently employed with the City of Gonzales as a Streets and Drainage Supervisor. He has two children and four grandchildren. "I appreciate the support of the membership and look forward to working with the DEMCO Board of Directors in meeting the challenges presented by DEMCO's rapid growth in Ascension Parish," Brock said. Brock is a year 2000 graduate of the Leadership Ascension program.